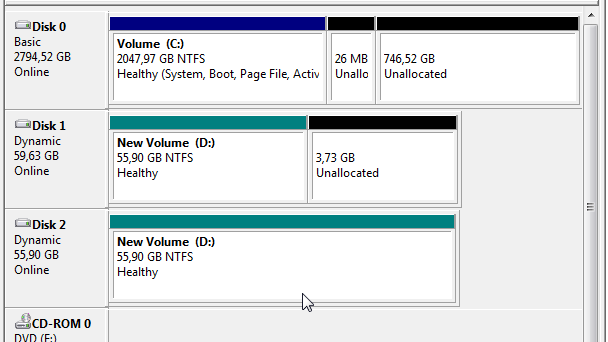 It is possible to bundle multiple SSD devices in one cache. 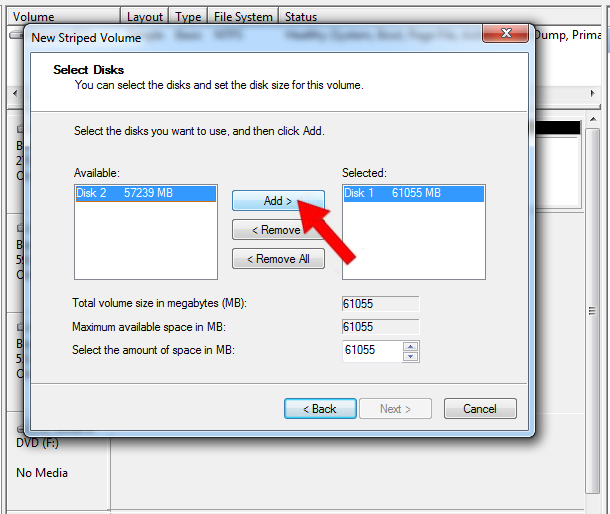 This is very useful to increase capacity and speed of the cache. With 2 SSDÂ´s you can expect double capacity and almost double speed. In fact it works so good that even hardware vendors use this technique in some of their SSD products! This chapter explains how it can be achieved by software only. 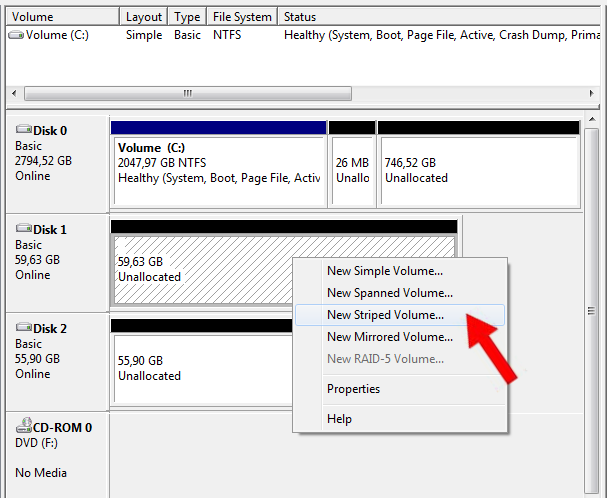 You need at least 2 unused SSD devices, preferably they should have about the same size when you create a Stripe Volume. 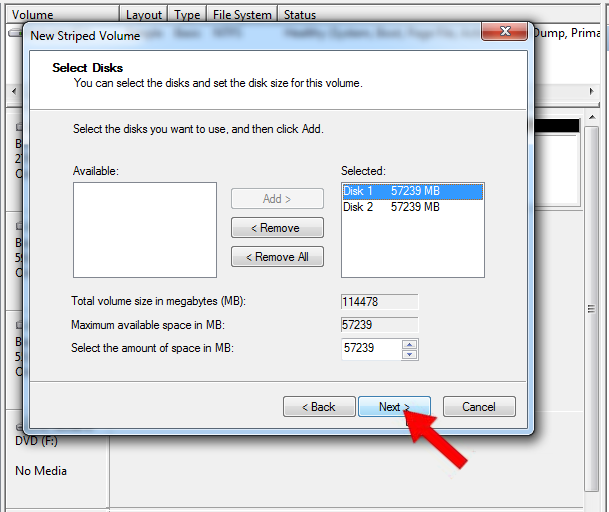 Open Disk Manager and right click on one of the unused SSDÂ´s, you will see a context menu showing options. We will create a stripe Volume here. 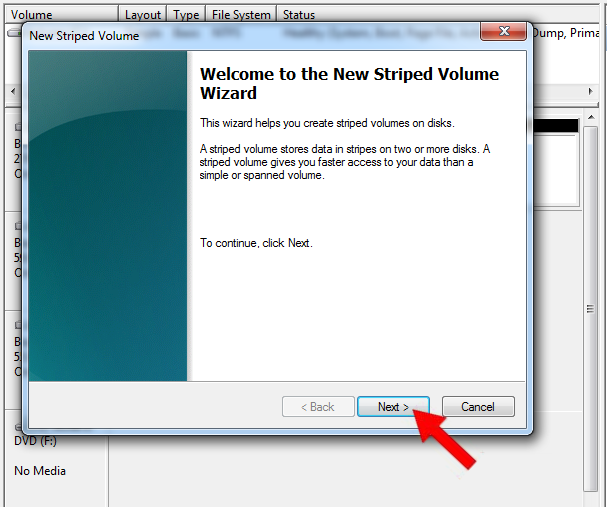 So Click on âNew Striped Volumeâ. 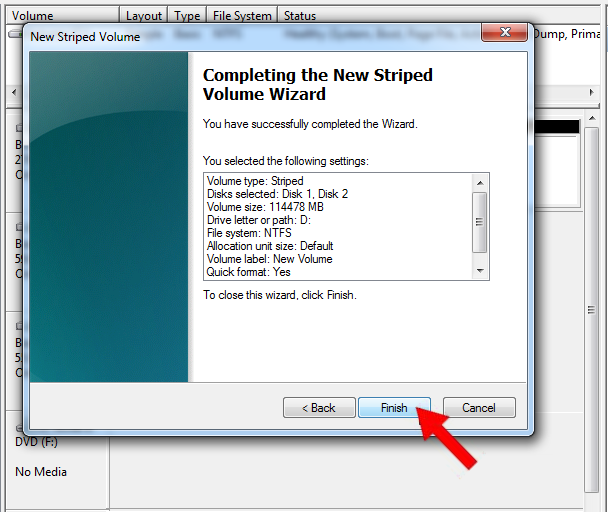 The Select Disks Window opens, the volume you clicked on is already selected. 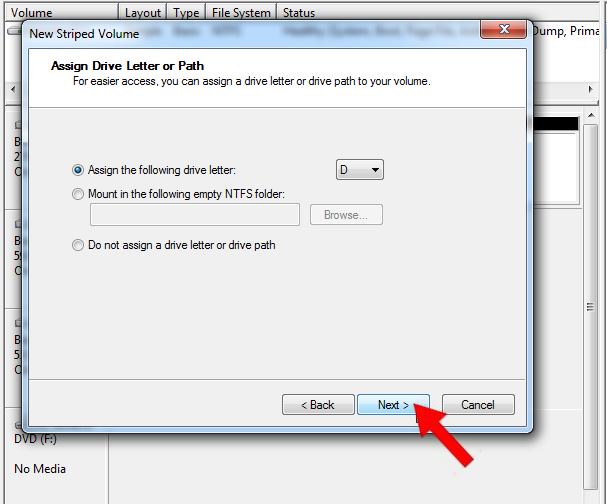 Now click on Disk 2 and then âAddâ. This window might appear. Click âYesâ. The creation starts, takes a few seconds. 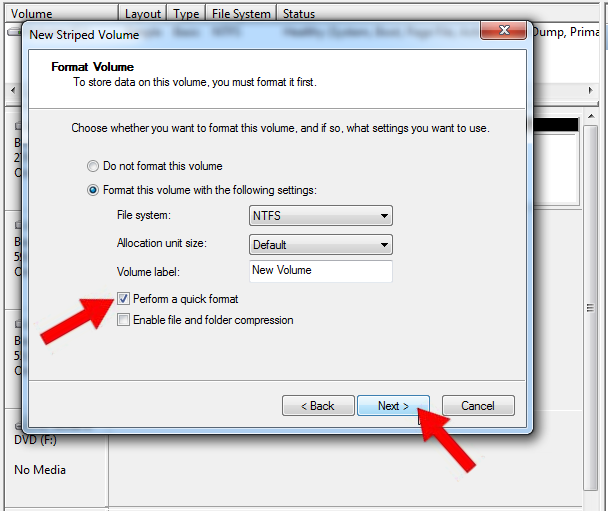 After a while the formatting is ready and you can use the Volume D: as a cache with MaxVeloSSDâ¢. Please refer to the chapter âhow to add a cacheâ for informations on how to continue with this task.